Despite having the largest population in the world, China does not have the largest lottery. El Gordo (translated as The Fat Man) in Spain is the largest lottery in the world. It has payouts as high as several billion dollars. China can still boast about its lottery, however. It has not one, but two giant lotteries. One is called the China Sports Lottery and the other is the Welfare Lottery. The Welfare Lottery, like many state lotteries in the United States, funds social programs, such as cash payouts for senior citizens and disaster relief. 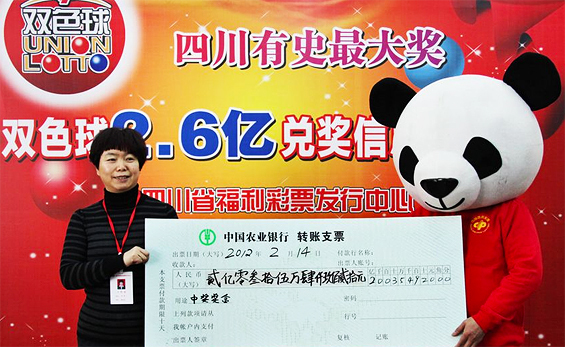 In contrast, the China Sports Lottery funds sports programs in China. China has an extensive sports program that begins in childhood and trains prodigies in a sport so they can eventually become members of the Chinese Olympic Team. The Chinese government has been acting as a two-headed dragon It has been cracking down on illegal gambling, while, at the same time, it has been encouraging the expansion of legal gambling. 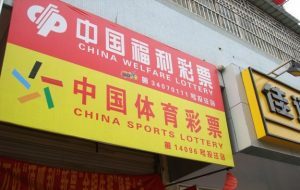 The China Sports Lottery, as well as the Welfare Lottery, represent two of the only legal avenues to place bets in the country. Unlike the Welfare Lottery, the Sports Lottery does not operate on a number system. Instead, it allows people to predict outcomes and results for sports matches worldwide, such as football matches. Sports Lottery sales have risen to more than $17 billion in the first quarter of 2018, which represents an increase of 18 percent from 2017 to 2018. Betting on the World Cup is expected to double the amount of revenue going into government sports programs. When the World Cup was played in 2014, it brought in more than $6 billion in sales alone. China has been encouraging its population to gamble as a form of recreation, and as a way to support sports programs in the country, which is seen as part of a healthy lifestyle. In addition, Chinese citizens are encouraged to continue to contribute to the Welfare Lottery because of the programs it provides money for. In addition to encouraging its citizens to participate in the lotteries, the Chinese government has also been cracking down on illegal gambling sites ahead of the World Cup. China decided to crack down on illegal gambling sites because it wants the profits from World Cup betting in the country to flow directly into the lottery program. This means the illegal gambling, which has been going on for centuries on all kind of games of chance, will have to go deeper underground if it is going to survive. The Chinese government has made a number of arrests and seized millions of dollars in profits from illegal gambling. For example, during a large raid in southern China, authorities seized $63 million and arrested more than 150 suspects. Another large raid netted only two arrests but shut down 13 illegal gambling online websites and seized $55 million in profits. The Chinese government has cracked down on all forms of gambling, such as illegal casinos and online gaming. Critics of the Chinese policy have stated that the government is raiding illegal gambling houses in order to get money to drive the development of legal gaming in the country. For example, China already allows casino gaming in Macau/Cotai and the government is planning to legalize gaming on Hainan Island. The gambling industry in China, once Hainan Island is complete, is expected to become one of the most profitable industries in the country. And, it is expected to bring in millions of tourists who will spend billions of dollars yearly.